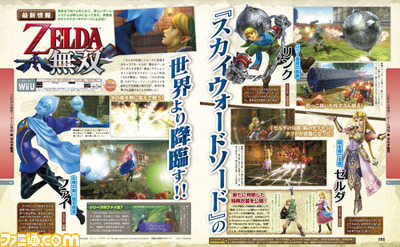 Famitsu Magazine has confirmed that Fi from Legend of Zelda Skyward Sword will be a playable character in the upcoming Hyrule Warriors. Unfortunately it’s not the biggest of previews, but alas there it is. Another impressive character added to the already awesome roster for this game. It’s shaping up to be a fantastic spin off the Zelda Franchise.